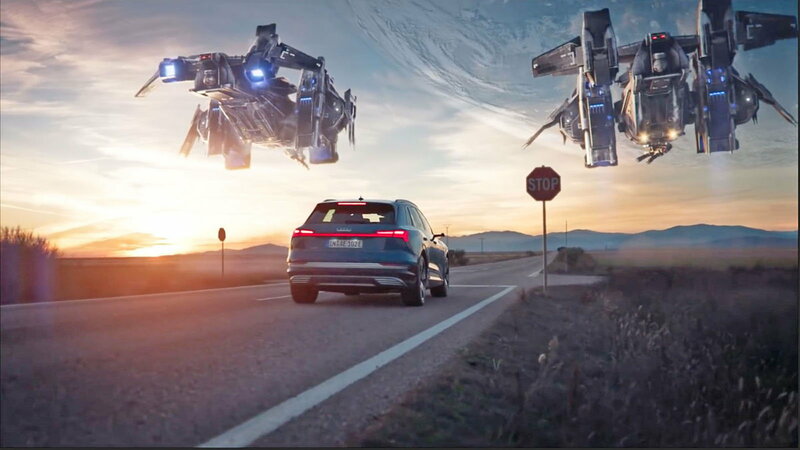 At 2019 CES in sin city Las Vegas, Audi ran a demo of new tech that was installed in a new e-tron vehicle that transformed the EV into a virtual spaceship that cut its way through an asteroid belt. The new tech is called XR and looks to create "hyper-immersive" experiences for passengers using the software. The space demo that folks at CES got to go through the paces with was inspired by Marvel's Guardians of the Galaxy and was created as part of a collaboration with Disney and Interactive Experiences. 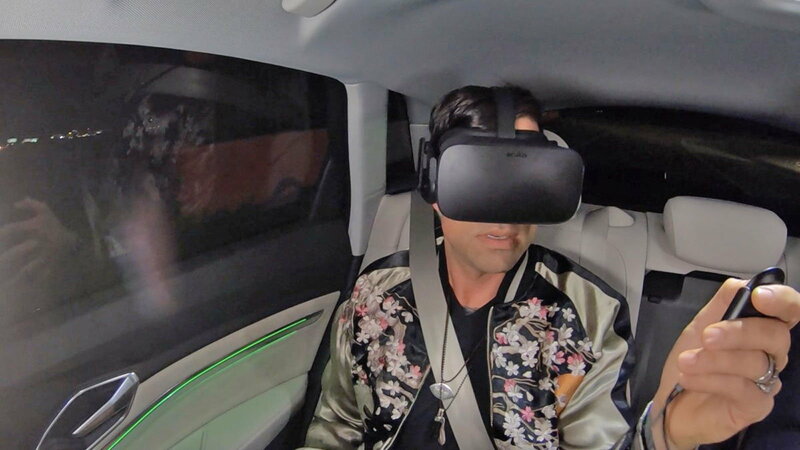 Guests at CES stepped inside of an e-tron SUV and strapped on an Oculus Rift headset for the ride. 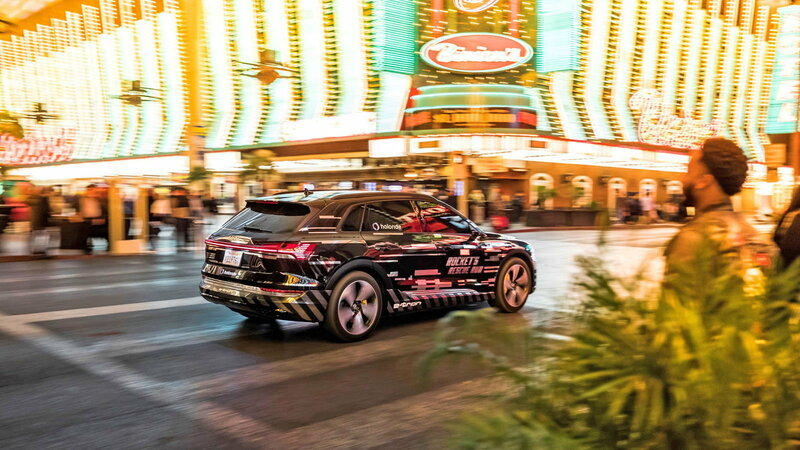 The e-tron was then guided around Speedvegas track where the driver was trained to speed up, take corners, slow down, and maneuver the vehicle in a way to sync with the action in the game. >>Join the conversation about Audi's XR experiences for the road right here in the Audi World Forum! A rep on hand said that the tech could also be used for showing a VR film where points of interest could appear in your field of view to act as a sort of moving tour. One guest remarked that he didn't feel an iota of motion sickness at all during the VR demo since the vehicle was matching what his brain and body were going through. “While this CES demo was developed purely in the spirit of exploration and experimentation, we are constantly evaluating emerging technologies to enhance our stories and experiences,” quipped Mike Goslin, Vice President, Disney Games, and Interactive Experiences. Could this new tech be the answer to the age-old problem of "Are we there yet?!" 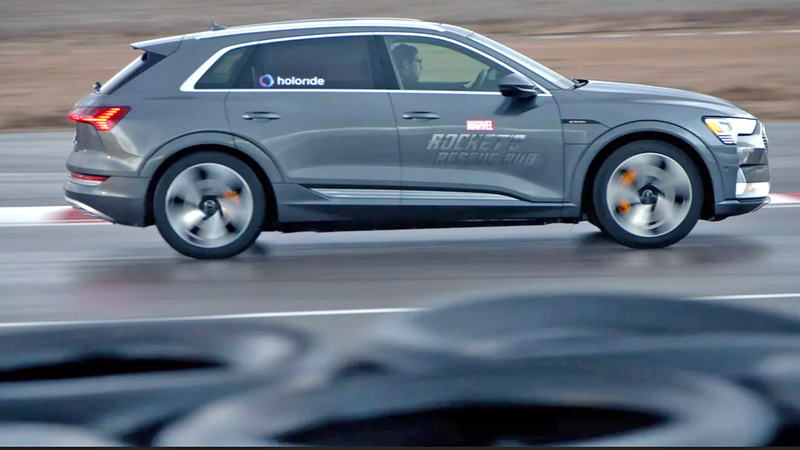 See Holoride's commercial for the tech running in the back of an e-tron right here.